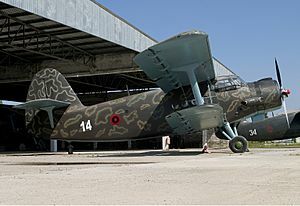 Albanian Air Force Antonov An-2. The Antonov An-2 is a Soviet airliner & cargo aircraft. It was designed and built after World War II. It is a biplane. It can carry between nine and eleven passengers. NATO calls it Colt. It was built under licence in China as Y-5. It is a single-engine aircraft. 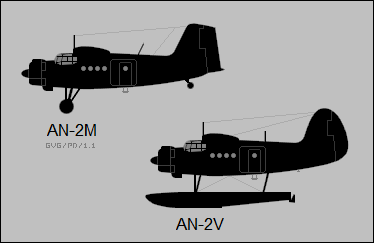 An-3 is a turboprop. An-6 (Meteo for NATO) is for military meteorologic reconnaissance. 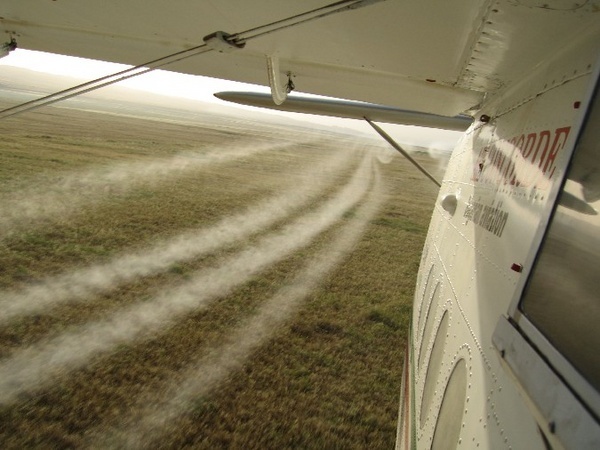 An-2 sprays pesticide on wheat crops during Operation Barnstormer (May 2006). 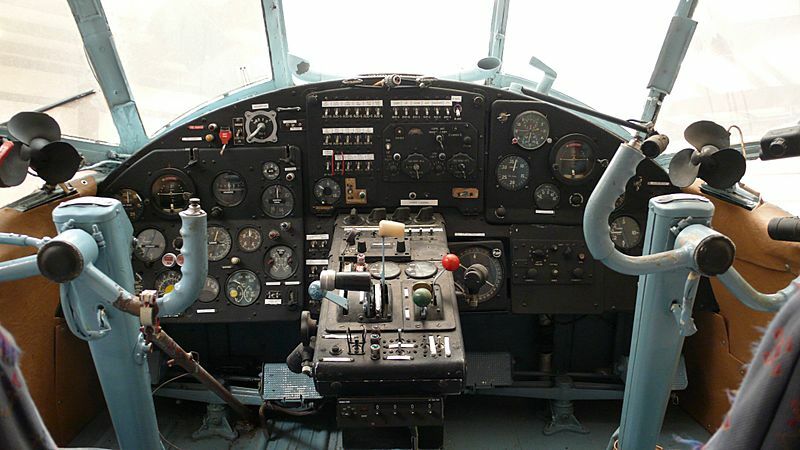 Cockpit of a 1971 ex-Aeroflot An-2 at the Historic Aircraft Restoration Museum. See also for a very high resolution image of this cockpit. 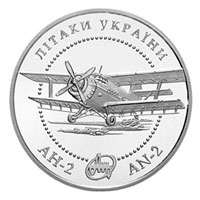 Antonov An-2 Facts for Kids. Kiddle Encyclopedia.